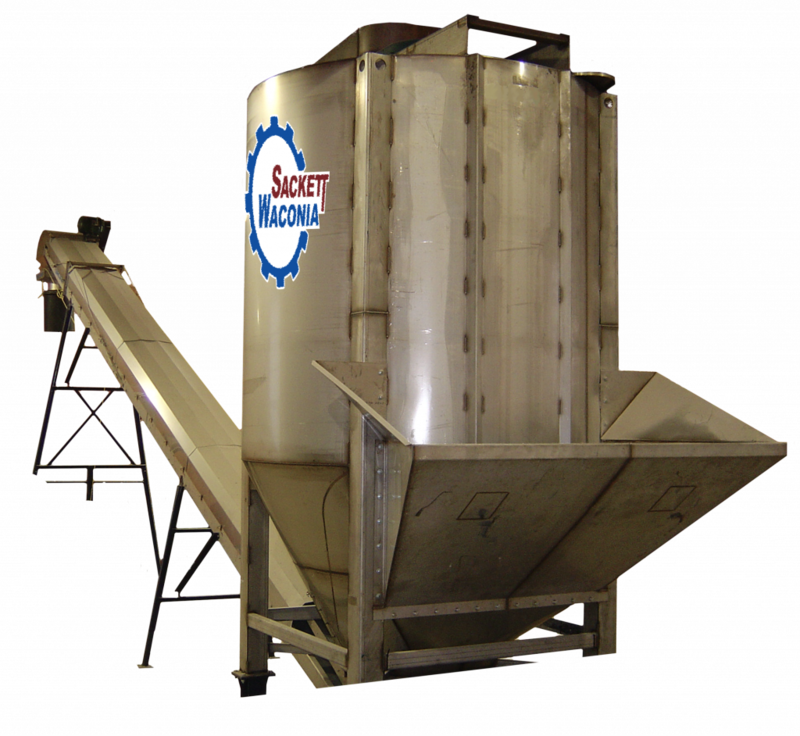 The Sackett-Waconia Tapered-Auger (TA) Blenders are manufactured with only top quality material and engineering. Attach the TA-Blender to a loadout conveyor, or install one in a new or existing tower. Use one with or without NTEP certified scales. You’ll see how versatile it is. What’s more, the TA-Blender is full of options. Seven different models range from 6 ton to 18 ton. Add a second spray bar to double the liquid nutrient blend capacity. They can even be equipped with a material conditioner on the inlet hopper. The TA-Blenders embody power and torque. They feature the steepest taper available and a speedy 4 ton per minute discharge. The tapered auger starts at 22” and tapers to either 40” or 44” producing a superior blend that your customers will appreciate.